The 2020 DAYTONA 500 at the world famous Daytona International Speedway will take place on 16 February 2020 and will be the 61st running of this epic race. Our exclusive packages include UK airport lounge access, return flights from Manchester or London Gatwick direct into Orlando, 7 nights hotel accommodation either in Orlando or Daytona Beach, fully inclusive car hire and, of course, your Daytona 500 Grandstand tickets, and are a great way to experience Florida. Please be aware that hotel rooms over the Daytona 500 week sell out very quickly so book early if you want to stay in the Daytona Beach area. NEW FOR 2020: We now include Fast Track Security on departure from your UK airport! Automobile racing became a regular pastime along the hard-packed beaches at the turn of the 20th Century. Ormond Beach became known as the “birthplace of speed” due to the various land speed records set there.  In 1947, the National Association of Stock Car Auto Racing was founded in Daytona Beach. Motorsports gained new ground in 1959 with the opening of the Daytona International Speedway, which continues to satisfy hundreds of thousands of speed-hungry fans each year. 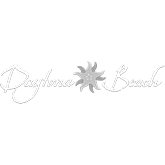 Today, the Daytona Beach area entertains approximately 8 million visitors each year. Visitors come from around the world to relax and recreate on one of the most beautiful, family-friendly beaches in Florida. For more information about the history of the Daytona Beach area, be sure to visit the Halifax Historical Museum located in downtown Daytona Beach.